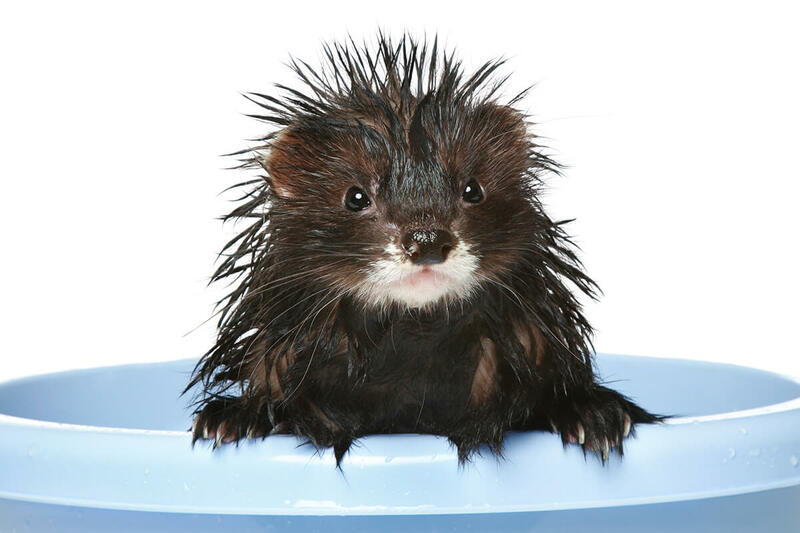 The closest relative to the domesticated ferret is the polecat, a wild animal. 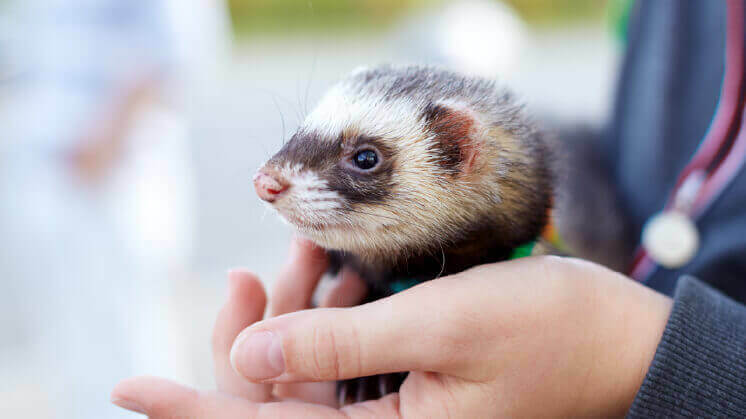 It is interesting to learn about their ways as this knowledge might hide some additional clues into how we might better care for our ferrets so they can live healthier and happier lives. Learning about polecats and other mustelids (members of the same biological family as ferrets) always fascinates me. They are such incredibly hardy and resilient creatures. Did you know that in some parts of the United Kingdom, polecats went extinct just 100 years ago and now they are making an outstanding recovery? 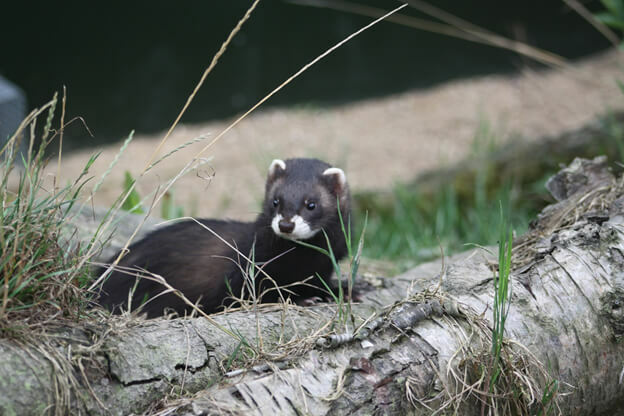 Lizzie Croose is a Mustelid Conservation Officer at The Vincent Wildlife Trust, and she shares with us some of the findings from her research, how polecats made their outstanding recovery, and the challenges they face moving forward. What type of research do you do on polecats? What are you trying to learn about them? 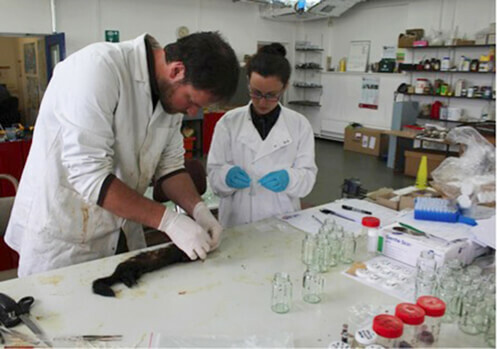 The Vincent Wildlife Trust has been carrying out conservation-directed research on polecats in Britain since the 1990s. We have conducted three national distribution surveys to track the recovery and changing distribution of polecats in Britain as the population recovers from a historical decline and spreads back into parts of its former range. We have carried out live trapping and radio-tracking studies to learn about how polecats move around the landscape, what habitat they use, what den sites they rest in and what they eat. We have also analysed polecats for evidence of secondary rodenticide poisoning (this occurs when a polecat eats prey that has been poisoned, such as rats, and builds up lethal levels of poison that kill him). How is this research designed to help polecats? By understanding more about the ecological needs of polecats and the threats they face, we can develop conservation solutions for the species. 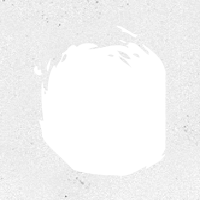 What have you learned through your research so far? Our national distribution surveys have shown us that polecats have re-colonised parts of their former range in Britain and are now present in some areas where they became extinct over 100 years ago. Radio-tracking studies have revealed that polecats favour lowland, farmland habitat and move through the landscape using hedgerows, field boundaries, and woodland edges and den in rabbit burrows, log piles, and farm buildings. Research on secondary rodenticide poisoning has shown that one-third of polecats analysed had been contaminated by rodenticides, by eating poisoned prey such as rats. 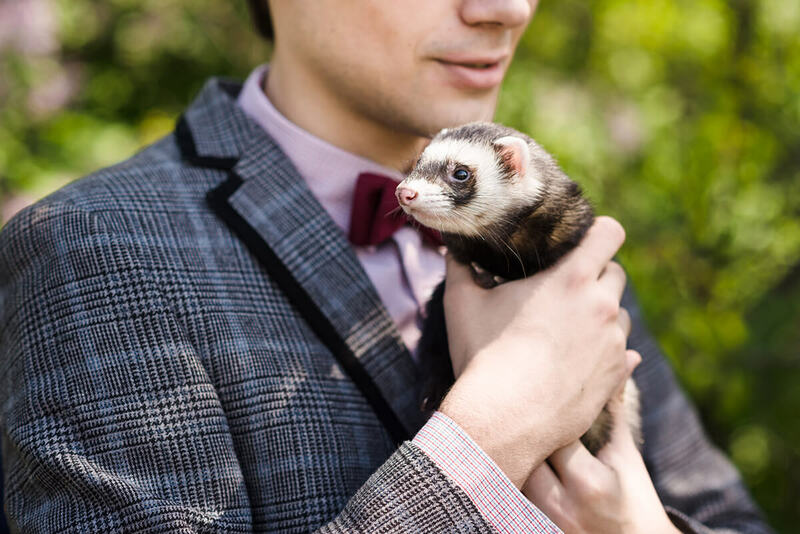 How are polecats different from the domesticated ferret? They look very similar, so it would be easy to mistake one for the other. 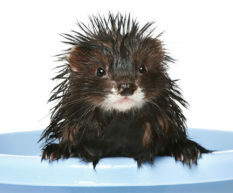 The main difference between polecats and ferrets is in their behaviour. Polecats are well-adapted to living in the wild and have excellent survival and hunting skills. By contrast, domestic ferrets are not well-adapted to living the wild and are more docile, tamer, and better suited to life as pets. 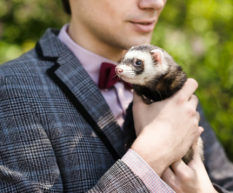 Polecats and ferrets can look very similar and have similar pelage (coat) patterns, and some people breed ferrets to look the “polecat-type”. Ecologically, what is the purpose of mustelids? What role do they play in maintaining a healthy environment? 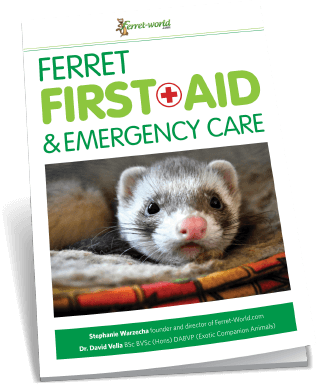 Mustelids play an important role as predators and can help to control prey populations which may be seen as pests (for example, rodents and rabbits). Some mustelid species that eat fruit (such as pine marten, stone marten, and badgers) play a role in dispersing seeds, so they help with plant colonisation. Mustelids can also be of economic importance, as some species (such as sable, mink, and martens) are harvested for their fur, and historically, trade in furs was commercially very valuable. What do polecats need in order to stay strong and healthy in the wild? Polecats need a territory which has safe den sites for resting and breeding, lots of prey (such as rabbits and other small mammals), and minimal hazards which could cause mortality (such as busy roads and predator traps). What is the most common cause of death in polecats in the wild? 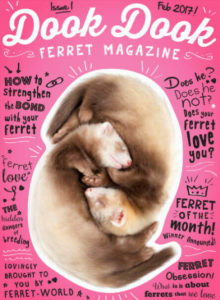 Do they suffer from cancers like ferrets do? The most common cause of death is likely to be road traffic accidents. Other causes of mortality are trapping, secondary rodenticide poisoning (from rat poison), and being killed by dogs or foxes. Polecats can suffer from several diseases including distemper, influenza, pneumonia, and rabies. What age do wild polecats normally live to? The typical lifespan is four or five years, although there have been records of polecats living up to eight years in the wild. Many polecats die in their first year. What does a polecat’s diet consist of? 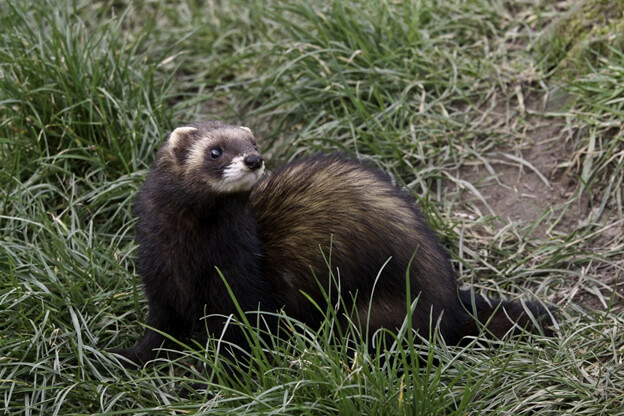 In Britain, the majority of the polecat’s diet is rabbit, followed by other small mammals including rats, mice, and voles. They also eat amphibians (frogs and toads) and occasionally birds and insects. How do polecats spend their time? Are they always hunting or do they occupy themselves with other things throughout the day as well? For most of the year, polecats spend their time foraging for food, resting, and defending their territory against other polecats. During the mating season, from February to April, male polecats spend a lot of time moving around and searching for females to mate with and competing with other males for access to females. Once females give birth, usually during May and June, they are kept busy foraging to feed their kits and, once the kits are older, teaching them how to forage on their own. How long are polecats awake during each day? This isn’t well known, as it is difficult to study. Polecats are generally active for much longer during the summer than in the winter months. What other interesting things would you be able to tell us about your research on polecats and other mustelids? Thank you to Lizzie Croose for a close-up into the lives of polecats! 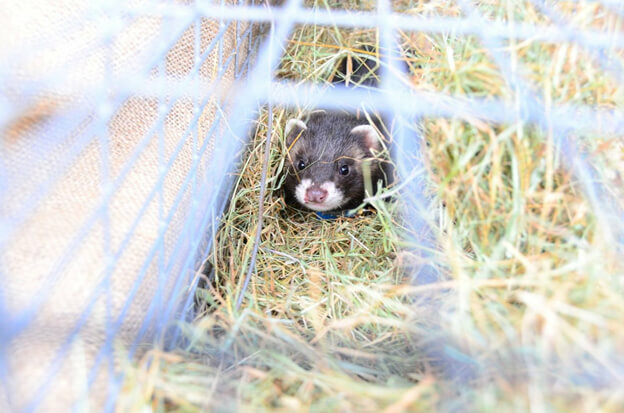 We are grateful for the efforts of Croose and The Vincent Wildlife Trust for their excellent work on wild mustelids.